When deciding on a property—one that you and your family will call ‘home’—there are some important factors besides finance that you should keep in mind. As a foreign-born HDB dweller, my housing decisions have been often inquired upon. With this article, I hope to shed light on why I chose a HDB flat over private property, and why Sengkang West of all the housing estates. 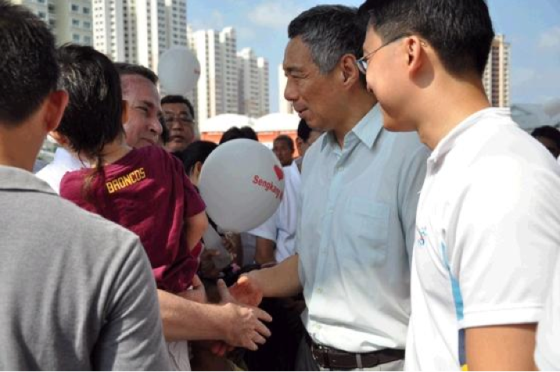 I will also offer some friendly guidance to those also looking to make Singapore their home. Resale HDB: Are you qualified? This should be the first checkpoint for non-Singaporeans deciding between HDBs and private properties. For those considering resale HDBs in particular, there are quite a few eligibility conditions and legalities you should take note of beforehand. For instance, resale HDB buyers have to be Singapore Citizens or Permanent Residents, or have at least one such listed occupant. In terms of regulations, there is one rule widely covered in recent news: you must sell off any private property you already own within six months of purchasing a resale flat. More information can be easily found on the HDB InfoWEB. Unless you meet the stated criteria, your best bet is private property. In case anyone was wondering, PRs are not eligible to purchase new HDBs. Why not a condo, you ask? Very good question! 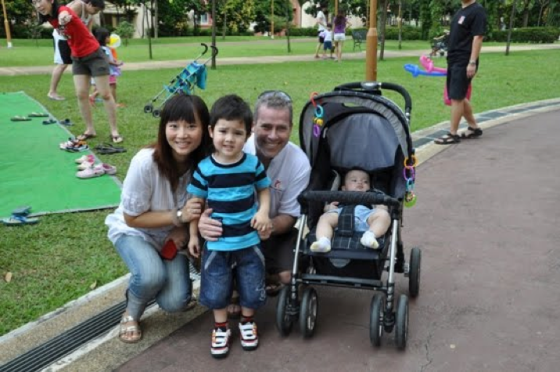 When we first moved to Singapore sans PR status, we did not want to do the stereotypical expat thing and move into predominantly foreign communities. After spending some time searching for the right location, we thought we couldn’t get any more ‘heartlander’ than moving to Woodlands, the northern-most part of the island. However, we failed to realise that moving into a rental condominium still meant that we ended up surrounding ourselves with a non-local community. Additionally, security guards and boom gates ensured that we were practically locking ourselves out of the community, and the community out of our lives. Sure, the facilities (pool, gymnasium, function rooms) and privacy that come with condominiums are attractive. But the security measures, in particular, did little to make us feel safer in a country that already boasts one of the lowest crime rates in the world. Neither was it helpful in integrating us into the community we so desperately wanted to belong to. It felt almost like we were on an extended business trip at a resort; definitely not like a place I’d call home. After a few years there we decided to explore our options, this time deciding not to rent. The dramatically fluctuating rental market then affirmed our decision, but it was not our main motivation. It dawned on us that to really integrate and root ourselves, boots and all, in Singapore for the long term, we needed to stop living the ‘pretend heartlands’ lifestyle. Even now, we still hold the belief that rent money is dead money when it comes to planning for our future in Singapore. This decision then led us to the resale HDB option. 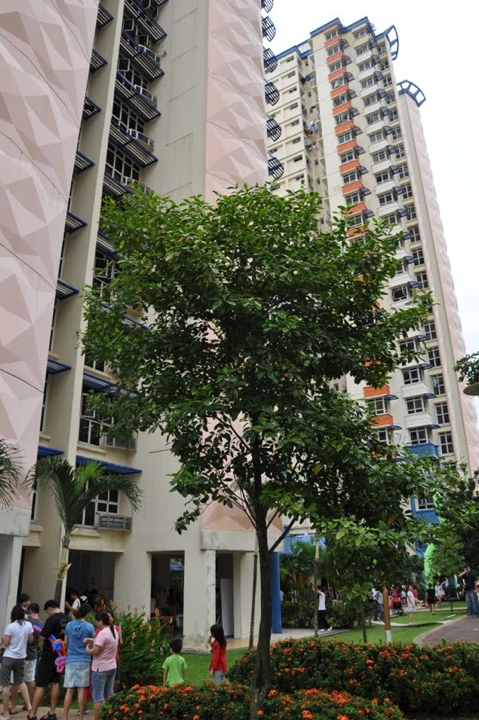 We soon realised that many five-room HDB flats (or ‘three-bedroom’ in foreigner speak) were larger than modern condominiums, and the newer HDB buildings and estates were styled similar to condominiums. New HDBs were taller, with fewer flats per floor, an elevator at every level and actual hallways within the flats! Our current apartment has 22 floors with only four ‘point blocks’ on every level. It has a layout and style similar to our former private home, but with more area and a lovely view. Of course, the difference was the lack of private pool and security. If not for living in an HDB estate, we never would have gotten the chance to serve the community.Joining a local grassroots organization not only satiated my passion for charity work, but also afforded us a key opportunity to know and befriend those in our community. Another step towards integration in our new country! I am now a grassroots leader and member of the Anchorvale Community Club Management Committee, with a community network that now stretches across Sengkang West. We are proud to be part of a strongly bonded community, where it is very rare to visit neighbourhood shops and eating places without running into people we know. We now treat our neighbours like family, and vice versa! I think such a deep integration at the grassroots level is not impossible should we have opted for yet another private property, but I am sure it would have been much more difficult. Sengkang West: Who are the people in your neighbourhood? 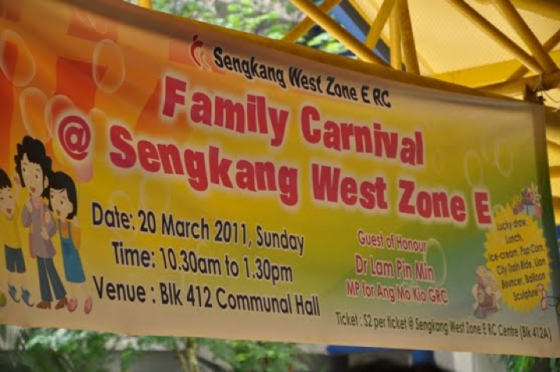 As a young family with two ickle boys, we fit in quite well in Sengkang West, which was then (and is still considered) a relatively new and developing part of Singapore. We have seen so many new buildings sprouting up over the years, and practically grew up with this estate. Furthermore, as we are still considered a foreign family, joining a blossoming community instead of a mature estate was in hindsight also made it a little easier for us to cultivate a sense of belonging. When it comes to deciding between HDBs and private apartments, it’s all about your personal motivations and your desired lifestyle in Singapore. For us, we wanted our locally born children to be completely immersed in the culture of their birth country. Our elder boy now attends a kindergarten near our home, swimming classes at the public sports complex, and art classes at the local Zone E RC office. His best friends are Singaporeans too. By living in the HDB heartlands, we plan to eventually enroll him and his brother in a local school. We would not dream of giving up our HDB lifestyle in a million years. So if you’re looking to truly make Singapore your home, I think the answer is a no-brainer: move out of the expat comfort zones and into the HDB heartlands. It’s a decision that has fulfilled my life; I am certain yours will be too. Cheers, Mr. and Mrs. Aussie Pete. This is a heartwarming account. Hi pete, i live in woodlands in a condo i see very little expats and there are a number of grass routes clubs around. I dont think living in a hdb or condo separates you from the comunity its the person. I am now coaching at our local csc on sundays and get involved were i can. Hi pete, i live in a condo in the heartlands and im not sure if you live in a condo or hdb is really better to intergrate into a comuntiy. I see very little expats and the ones i see just say hello and do want to know us anyway. I know more locals than expats and i go and train and coach at our local csc too. I think its the mentality of the person to get out.